Umami Restaruant Group, operator of Umami Burger selected Ellish Marketing Group, international restaurant and franchise consultants, to work with the management leadership team to define the Umami brand positioning and brand architecture. Using the Ellish Marketing Group methodology, the management leadership team participated in a multi-day brand discovery to see best competitive brands and other hot on trend restaurant concepts followed by a one-day proprietary Brand Positioning Session led by Warren Ellish, Ellish Marketing Groups CEO and President. 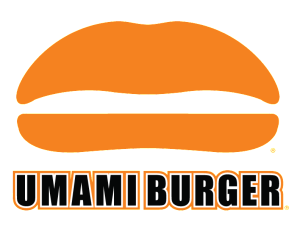 Ellish Marketing Group is also conducting menu engineering work and consumer research for Umami Burger. The development of a pre-emptive, ownable and defendable brand positioning for Umami Burger was a priority project for new CEO Paul Clayton. The end result of the brand positioning work from Ellish Marketing Group is a more focused and more competitive burger brand. Great day in Dallas presenting the Keynote Address to the Internatinal Franchise Association Emerging Franchisor Conference. I enjoyed sharing insights on world-class branding and brand positioning with the future great franchise leaders. Great turnout and enthusiastic group. Met so many new wonderful people and some old friends at the conference. It is always a pleasure to add thought leadership to a great association. In a significant change from its existing policy, effective November 5, 2014, Facebook will no longer permit the common social media advertising tool of “like-gated” promotions. “Like-gating” requires that consumers “like” a brand’s Facebook page to enter a contest or sweepstakes, to gain access to a deal or a coupon code, to obtain early access to merchandise, to download or view app content, or to get other savings. In Summary: “Like-gated” Facebook promotions had their run, but their time has passed for a few compelling reasons. The Facebook policy change is another reminder that restaurant and franchise companies should know a social media platform’s terms and conditions – and should be aware of changes to those rules – before running a social media promotion. You must not incentivize people to use social plugins or to like a Page. This includes offering rewards, or gating apps or app content based on whether or not a person has liked a Page. It remains acceptable to incentivize people to login to your app, checkin at a place or enter a promotion on your app’s Page. To ensure quality connections and help businesses reach the people who matter to them, we want people to like Pages because they want to connect and hear from the business, not because of artificial incentives. We believe this update will benefit people and advertisers alike. Facebook’s personnel have indicated in interviews that incentivized likes are poor indicators of consumer engagement and bad for user experience on the platform. Given that the Facebook display algorithm has already deprioritized likes in favor of engagement, this change should not surprise marketers, and may actually lead to better return on investment (ROI) on Facebook advertising, and increases in engagement among “likers” of brands’ Facebook pages. As a practical matter, like-gated promotions that commence or extend beyond November 4th must comply with the new Facebook policy. Page contests, and can publicize promotions on a Facebook page. Moreover, marketers can continue to request that people “like” a page – only like-gating has been barred. The policy change is likely to accelerate the change from like-gating to “action-gating” (where users must take some specific action before entering a Facebook contest), though marketers should still be careful to comply with Facebook’s existing usage guidelines. Nonetheless, action-gating should lead to increased consumer engagement, and marketers using the proper login techniques can gather email addresses of consumers and additional feedback via engagement. Campaigns may become more unified, with social media, email, and other efforts bringing consumers to one page where they can enter the contest or promotion. The number of entrants may be lower than with like-gating, but the quality of the entrants may be higher. Of course, to the extent that companies simply want more “likes,” marketers will have to rely on methods other than “like-gating” to obtain them. 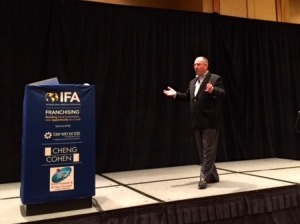 International Franchise Association Emerging Franchisor Conference – GO BIG OR GO HOME! Ever wondered what it is like to be given all tools necessary and then told to build something? Well, as many of us know, it’s definitely a challenge to start on your own! However, given the proper resources, it could end up being the best learning opportunity! Now take that approach and apply it to your business. If you are a growing franchisor and looking for the premier franchising networking event filled with resources, then look no further! The 2014 Emerging Franchisor Conference is an interactive platform for executives of brands that are just stepping into the market. Join fellow professionals who have been in the business for quite a while to gain tips and apply proven strategies on how to make your brand shine! Keynote addresses: Hear Warren Ellish, President & CEO Ellish Marketing Group and member of the faculty at Cornell University’s Johnson Graduate School of Management talk about World-Class Branding, Catherine Monson, CEO of FASTSIGNS International discuss corporate culture and Mary Kennedy Thompson of the Dwyer Group, give her “Lessons in Leadership.” After hearing their motivational stories there is no doubt that you will be recharged and ready to GO BIG! Not only does this event advise you on the necessary steps to reach the top, but it helps guide you in the right direction, especially in connection with your franchisees. Building trust from the start is crucial in any relationship so enhance the connection with your current franchisees while creating new relations. By the end of the conference, you will know who you want to play a key role in your business, what you want from them, and where to put them in action. Some key aspects of the conference that should not be missed like the “Discussion with Franchise Founder’s and CEO’s”, the notorious “Think Tank” session, a case study of audience engagement and of course, the infamous roundtable discussions where you get up close and personal with the best of the business! Don’t just sit in the present to wait for something to happen in the future, take a plunge in this unique educational opportunity offered by IFA and register for the 2014 Emerging Franchisor Conference in Dallas, November 18-19 today! I look forward to seeing you in Dallas at this great IFA conference. Wendy’s brand revamp serves as an industry case study for how traditional quick serves must embrace change. On November 15, 1969, Dave Thomas put 20-plus years of restaurant experience into the opening of his very own fast-food joint, Wendy’s Old Fashioned Hamburgers. That first restaurant, located in Columbus, Ohio, set a precedent for quick-service burger chains by capitalizing on a promise to consumers that its iconic square patties were fresh, never frozen. Even in those years the buzzword resonated, and so Wendy’s began its journey to becoming one of the nation’s largest hamburger chains. Fast forward to 2014: While McDonald’s, Wendy’s, and Burger King continue to be the segment’s top players, competition is fiercer than ever. Within the scope of limited service, fast casual is the only category seeing overall growth, according to numerous industry analysts. And though that certainly doesn’t signal any permanent decline or end for fast food, it may require traditional quick serves to adapt at a quicker pace than before. Coming in at No. 4 on our QSR 50 list, Wendy’s provides a case study for just how a brand with deep roots can attempt to change with the times. When CEO Emil Brolick came aboard in 2011, he declared that the company would make moves to be a viable competitor to fast casuals like Five Guys Burgers & Fries. That goal culminated in a brand refresh that’s touched everything from the menu and marketing to store design and employee uniforms. The LTO pipeline at Wendy’s continues to churn out crowd pleasers like the game-changing Pretzel Bacon Cheeseburger, and is complemented by TV advertising aimed at the industry’s must-have demographic: Millennials. Early indicators show Wendy’s revamp could be working—the Freckled Lady saw systemwide sales growth in 2013 for the third year in a row since a 2.26 percent decline in 2010. But some industry experts remain weary of the brand’s strategy. Whichever way you slice it, Wendy’s is certainly making waves. And while only time will tell how much success the brand truly sees, company executives are sticking to their guns in the hopes that they’ve found the right formula to excel in today’s stagnant quick-service landscape and beyond. In the eyes of some industry experts, Wendy’s struck gold when it began innovating its bread. It all started with the reprise of a popular LTO, the Flatbread Grilled Chicken line, in September 2013, and picked up real momentum with the release of the Pretzel Bacon Cheeseburger and Pretzel Pub Chicken later that fall. Wendy’s followed up with the Bacon Portabella Melt burger on a brioche bun in November 2013 and the Mediterranean-inspired Ciabatta Bacon Cheeseburger in January. All of these LTOs hit on sophisticated flavor profiles intended to resonate with the Millennials who are demanding that of quick serves, allowing Wendy’s to stick a premium price tag on premium menu items. But some experts express concerns that the fleeting nature of LTOs, despite the fact that they build immediate buzz, isn’t a beneficial strategy in the long run. 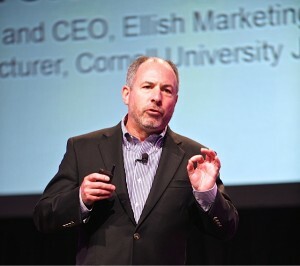 Ellish adds that LTOs can also alienate core customers if not balanced with permanent menu item growth. Beyond that, some industry experts also say Wendy’s premium LTOs can be seen as a sign of defeat against the fast-casual segment and won’t resonate with consumers because of the perception surrounding all fast food. “By doing some more upscale items, [Wendy’s] is telling everyone, ‘Yeah, these upscale guys are eating into our market share, and we need to do what they’re doing.’ It’s just tough because customers won’t give Wendy’s credit for [upscale items],” says Dan Rowe, CEO of Fransmart, a development group with several quick-service clients. While Wendy’s hasn’t taken steps to incorporate popular premium LTOs or new sandwiches into the permanent menu, it has focused on revamping its salad platform, replacing low performers with more sophisticated options. Two chef-inspired salads, the Asian Cashew Chicken Salad and BBQ Ranch Chicken Salad, replaced the Baja Salad and the Chicken BLT Cobb in early March. “People are seeking innovation, but usually it takes going back to the basics and then using seasonings or flavor profiles that are unfamiliar to the general mainstream, like in the Asian Cashew Chicken salad,” Moore says. Wendy’s executives saw these permanent offerings, along with a seasonal Strawberry Fields salad that returned to the menu in June, as key items to target Millennials with distinct, bold flavors, Barker says. Both new salads also have 50 percent less fat, 29 percent less sodium, and 61 percent less saturated fat than the discontinued salads. Just as LTOs and premium salads have let Wendy’s set higher price points, the brand’s revamped Right Price Right Size value menu, unveiled in January 2013, still offers consumers inexpensive options, but with more variety and a range of pricing. The Steakhouse Jr. Cheeseburger LTO, launched in late May, was the first LTO added to the value menu at $1.49 and exemplifies Wendy’s attempt to imbue all parts of the menuboard with more quality offerings. Still, some industry experts caution against going too upscale and away from the brand’s core identity as an old-fashioned hamburger joint. The struggle lies in the fact that Wendy’s original fresh proposition has become an industry standard. Wendy’s push for an increasingly relevant position in the quick-serve market is also heavily evidenced in its TV, online, and social media advertising. Company executives put a Millennial face to its iconic logo with actress Morgan Smith, the red-headed star of Wendy’s national TV campaign “Now That’s Better,” which first aired in 2012. Like previous iterations, the campaign’s latest commercial, announcing the Ciabatta Bacon Cheeseburger, features a group of young, hip consumers and lighthearted humor. A three-part, vintage-style short film that paid homage to Italian cinema of the 1960s also highlighted the LTO’s launch. 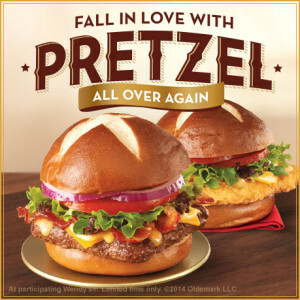 Shared on Wendy’s Facebook and YouTube pages, the film is one of several company attempts at gaining a foothold with a younger demographic—other examples include the Pretzel Love Songs social media campaign launched to coincide with the pretzel-bun LTOs, and a fashion-driven contest for guests promoted by actress and model Molly Sims to coincide with the debut of Wendy’s new salads. The former campaign featured recording artist and television personality Nick Lachey singing lyrics composed from consumers’ Tweets and won the brand social media–engagement kudos from industry experts and diners alike. The latter campaign, hosted on social clothing commerce website Polyvore, resonated with female consumers at the helm of the health trend. Wendy’s modernization has naturally extended to its logo, the iconic freckled Wendy, known to fans as a rendering of founder Dave Thomas’s daughter. 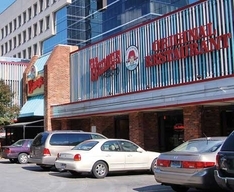 During the early 2000s, Wendy’s began using a secondary logo that dropped the “Old Fashioned Hamburgers” part of the name on certain products like cups and in some advertising. In late 2011, company executives unveiled the first drastic logo redesign in company history, still in use today. The new design features the Wendy’s name in a modern handwritten font, forgoing the brand’s recognizable Western-style slab serif, while the image of Wendy is rendered with brighter colors and pigtails that extend beyond the circle frame. The thought behind the logo, it seems, is that consumers are familiar enough with the Wendy’s brand to not need clues like the “Old Fashioned Hamburgers” line, Ellish says. However, it’s possible company executives could be overestimating their brand’s consumer penetration. If company executives are worried they’ve strayed too far from Dave Thomas’s vision, they’re not showing any signs of it. In fact, the brand is doubling down on an image refresh as part of its wave of intensive reimaging, which includes interiors, exteriors, employee uniforms, and packaging. As of March, Wendy’s reported that more than 200 of its company-owned and franchised stores had either completed or were in the process of reimaging, and executives expected to double the pace in 2014. The new store designs differ by geographical region, but are all modern and forward thinking. In the brand’s original home market, Columbus, Ohio, one revamped unit features a wall of floor-to-ceiling glass windows and the company’s old logo. Another in St. Louis features the contemporary logo and wood paneling on the exterior. Interiors feature cushy lounge seating, fireplaces, and flat-screen TVs. Guests can also access WiFi in stores that have been redesigned. According to company reports, reimaged restaurants are seeing sales increases averaging about 25 percent. That strategy isn’t just for the guests coming in to restaurants to enjoy modern fast-food fare in a modern environment—it’s also playing a key role in Wendy’s attracting more franchisees. In 2013, Wendy’s lost 26 of its units, bringing its national total to 5,791. But its percentage of franchised restaurants rose from 77 percent in 2012 to 81 percent, the highest split in the past five years. So far, this year has brought more franchise sales news for the Freckled Lady. Its franchising split is looking more like that of quick-serve behemoth McDonald’s, which franchises about 89 percent of its 14,000-plus units. Fransmart’s Rowe says the obvious appeal of franchising is growth at an unmatched rate, and McDonald’s has done that most successfully in the industry. There is, of course, a balance, because the right number of company-owned stores shows franchisees that corporate operations also have a stake in unit-level success, he adds. Burger King, for example, franchises 99 percent of its 7,000-plus units, up from 87 percent just five years ago, but the chain lost 28 units in 2013 and systemwide sales fell last year. Rowe warns against Wendy’s aggressive franchising program over what he calls the brand’s “broken system.” But it could be that the numbers suggest Wendy’s is succeeding. The brand’s LTO bandwagon, redesign, and heavy advertising drove stock up by 86 percent last year, but as of May, shares lost ground by more than 6 percent. It has some investors worried that the brand’s growth and revamp isn’t sustainable, experts say, especially considering that competitors McDonald’s and Burger King are seeing positive stock numbers. It could be the reason some see Wendy’s pushing more to replicate the business model of McDonald’s. The problem, he adds, is that it would have been easier for Wendy’s to implement its current strategy 30 years ago when the competition was not as robust as it is and fast casuals weren’t the only segment seeing growth. “They’re facing a number of long-term hurdles fast-food restaurants in general are facing,” Moser says. Wendy’s, like many other longstanding quick-service restaurants, is making every effort to overcome the hurdle of stagnation that threatens much of the industry. Only time will tell if it succeeds, but one thing is certain: The stage for true innovation is set, and those brands that wholeheartedly embrace that reality have a fighting chance. Soccer Shots, The Children’s Soccer Experience and the #1 Children’s Fitness Franchise Program, selected Ellish Marketing Group (the leading franchise and restaurant branding consultants) to work with their management leadership team, Franchise Presidents Council and Franchise Brand Strategy team to develop a strategically focused brand positioning for the brand. The end result of the work undertaken will be laser focused brand positioning and complete alignment behind the branding by management and the franchise system. The new brand positioning was unveiled during the 2014 national franchise convention in Chicago. Askar Brands operator of multiple quick service and casual dining restaurants across the nation including Papa Romano’s, Papa’s Pizza To-Go, Breadeaux Pizza, Blackjack Pizza, Mr. Pita, Stucchi’s Ice Cream, CJ’s Brewing Company and Big Al’s Sports Grill, selected Ellish Marketing Group, international restaurant and franchise consultants, to work with the management team and franchise leadership team of Blackjack Pizza to define the brands brand positioning. Askar Brands provides word class support to all of their brands by providing management, marketing, training and operations materials to allow their franchisees to focus on their execution and customer retention. The development of a pre-emptive, ownable and defendable brand positioning for Blackjack is consistent with their philosophy. The end result of the brand positioning work from Ellish Marketing Group will be a more focused and more competitive pizza brand. The IFA Emerging Franchisor Conference is designed for franchise operations executives, CEOs, COOs, Presidents, franchise development executives, franchise marketing experts, franchise relations specialists and anyone responsible for the growth and efficient operation of their franchise system. The conference is specifically designed to address challenges and opportunities unique to franchise systems who are looking to grow. This is a prime networking and educational conference for franchisors that are ready to take their system to the next level. This program will feature franchise leaders sharing what they learned when they were trying to build their brand. Attendees will hear motivational stories, expert tips and proven strategies that helped them attract new franchisees, build brand recognition and a loyal customer base, increase productivity while streamlining operations. Simply put, this is a must-attend event! Washington DC (RestaurantNews.com) The National Restaurant Association‘s Chief Economist Bruce Grindy breaks down the latest employment trends: “The national labor market continued to heat up in June, with restaurants remaining among the strongest growth sectors. According to preliminary figures from the Bureau of Labor Statistics, the national economy added a net 288,000 jobs in June on a seasonally-adjusted basis, the fifth consecutive month with gains of at least 200,000 jobs. “In total, the national economy added nearly 1.4 million jobs during the first half of 2014, the strongest six-month performance in more than eight years. “Restaurants continued to be among the leaders in job growth, with the industry adding a net 32,800 jobs in June and more than 173,000 jobs during the first six months of the year. Overall, restaurant employment was up 3.1 percent on a year-to-date basis through June 2014, nearly double the 1.7 percent gain in total U.S. employment. “Job growth within the restaurant industry has been broad-based in 2014, just as it has been throughout the post-recession period. On a year-to-date basis through May 2014 (segment-level figures are lagged by one month), quickservice restaurants added jobs at a strong 4.0 percent rate. This puts the quickservice segment on pace to post job growth of at least 4 percent for the third consecutive year. “The fullservice segment added jobs at a 2.9 percent rate through the first five months of 2014. While this is down somewhat from the consecutive 3.4 percent gains registered in 2012 and 2013, fullservice employment gains remain well above job growth in the overall economy. “Meanwhile, the snack and nonalcoholic beverage bar segment – which includes concepts such as coffee, donut and ice cream shops – added jobs at a robust 6.1 percent rate on a year-to-date basis through May 2014. If this trend continues, it would represent this segment’s strongest growth since 2007, as well as the third consecutive year with employment gains above 5 percent. “Look for these positive growth trends to continue through the remainder of the year, as the restaurant industry continues to benefit from an improving economy and stronger consumer sentiment.” Read more from the Economist’s Notebook. For additional analysis of restaurant industry trends, log on to Restaurant TrendMapper at Restaurant.org/Trendmapper (subscription required). Founded in 1919, the National Restaurant Association is the leading business association for the restaurant industry, which comprises 990,000 restaurant and foodservice outlets and a workforce of more than 13.5 million employees. We represent the industry in Washington, D.C., and advocate on its behalf. We operate the industry’s largest trade show (NRA Show May 16-19, 2015, in Chicago); leading food safety training and certification program (ServSafe); unique career-building high school program (the NRAEF’s ProStart); as well as the Kids LiveWell program promoting healthful kids’ menu options. For more information, visit www.restaurant.org and find us on Twitter @WeRRestaurants, Facebook andYouTube.